I have missed the first week of the new release of the McDonald Happy Meal Hello Kitty toy. 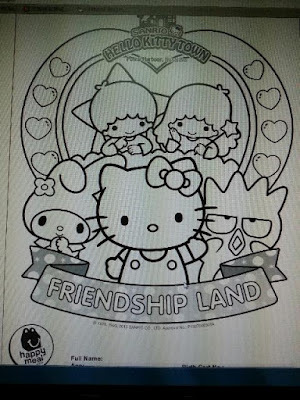 Happened to have lunch at McDonald on last Thursday, 23rd July 2015, the first Hello Kitty Birthday Party Fun toy has been sold out and over. I only managed to purchase the Hello Kitty Birthday Balloon toy. 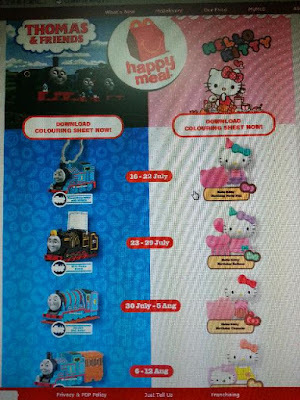 As for the boys and fans of Thomas & Friends, there are toys to add to your collections as well. 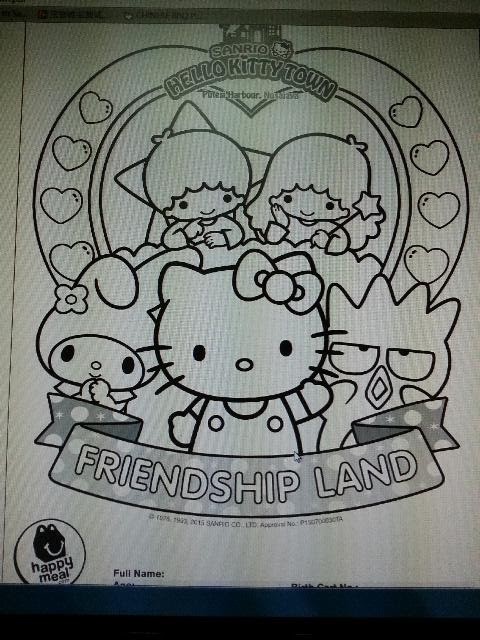 I only noticed last night that there is a Colouring Contest that comes with it, the prizes are pretty attractive. I will try to ask my daughters whether they are interested to join the contest. This is the snapshot from my computer screen using my phone. 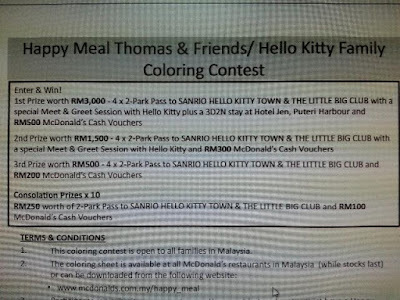 please visit McDonald website for the terms & conditions.